Throughout our history United Way of Gordon County has done extraordinary work. Your contribution to United Way of Gordon County supports 18 agencies that work with children, families, senior citizens, animals, and the disabled population as well as supports agencies providing emergency assistance. 1% of the funds raised, not pledged, goes to United Way Worldwide. That 1% is paid by the Board of Director’s contribution to United Way of Gordon County. Last year that amount was approximately $5,000.00. 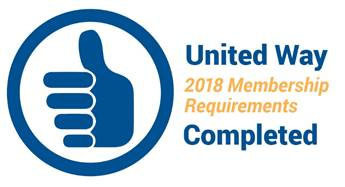 Each year United Way agencies must re-apply for funding and go through an allocation panel review process. Members of the community volunteer to serve on allocation review panels that assist in recommending the amount of funding for each agency and evaluate the mission of each agency. United Way of Gordon County hosts these main events each year: the Unity Run (1K Kids Run & 5K Run/Walk) always happens the last Tuesday in September as the Kick-off Event for the Annual Fund Raising Campaign, Mohawk Presents Calhoun’s Dancing with the Stars GETS SCHOOLED in May.